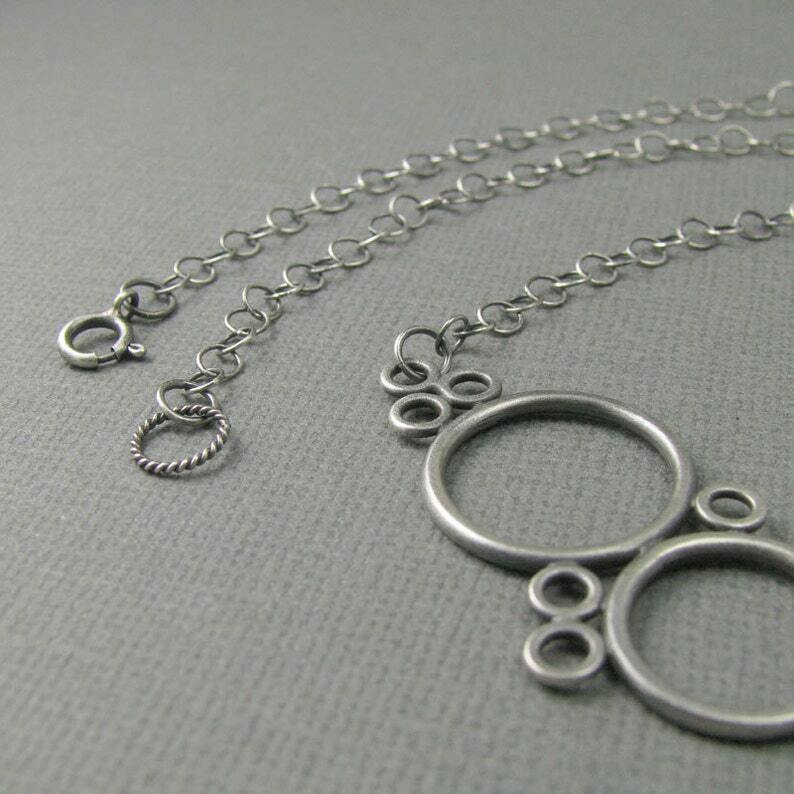 I created this necklace by first forming a bunch of different sized circles. I then carefully placed and soldered them together. Once the focal section of the circles were complete, I soldered the center piece on to a circle link chain that matches the bubbles themselves. 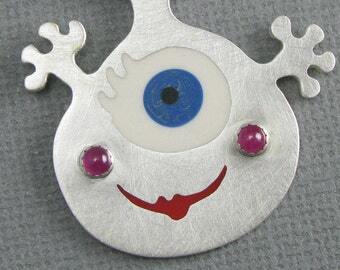 I lightly hammered the piece then oxidized the entire necklace to show off its features. the bubble part of the necklace is 2 3/4" across. the necklace is 17 3/4" long to hang across your collarbone.